Dennis Weaver played Chester on Gunsmoke. Immediately after the premier of Gunsmoke: The Long Ride, Dennis Weaver hosted Ancient Secrets of the Bible. How many stars did TV Guide give to Gunsmoke: The Long Ride? Two. The show aired on May 8, 1993. Click HERE to see the review from the May 8-14, 1993 TV Guide. (T/F) A primary character in Gunsmoke: The Long Ride is John the Baptist. False. There is, however, a character dubbed John the Methodist. 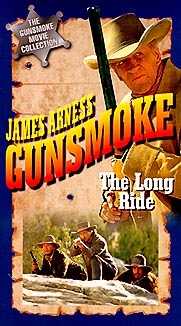 James Arness directed Gunsmoke: The Long Ride. False. He was, though, the Executive Producer. To within five, how many network commercials and television promos were aired during Gunsmoke: The Long Ride? Sixty Nine. In Seattle, the local station aired an additional 22 commercials and television promos. (T/F) Actress Ali MacGraw played the part of Uncle Merckel. 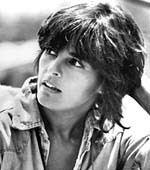 True ... Uncle Jane Merckel.